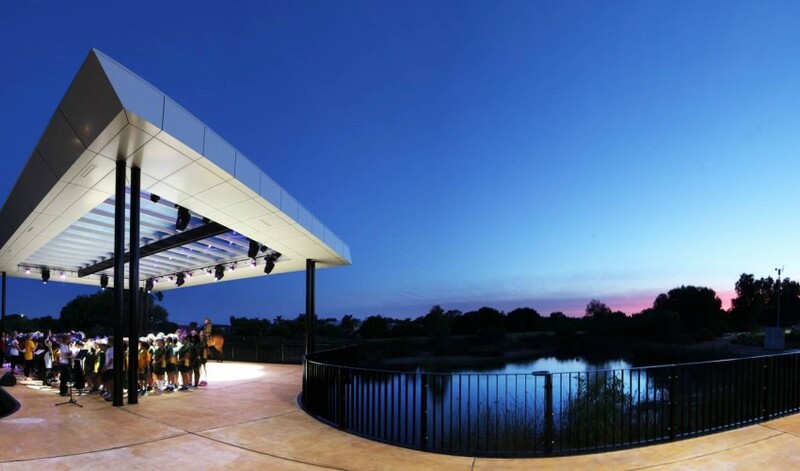 The new Canning War Memorial and Stage Facility was commissioned to commemorate the Centenary of the Anzac Landing at Gallipoli. Working with artist Susanna Castleden and project architect Coniglio Ainsworth Architects, Apparatus managed the public art component of the artwork, which was fully integrated with the architectural structure and interpreted the Australian war efforts. 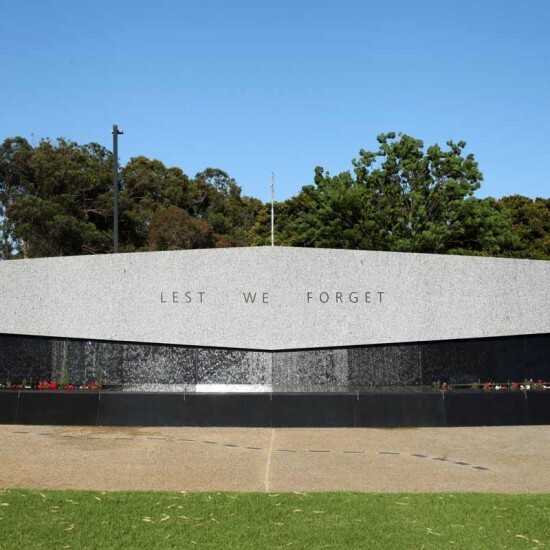 Constructed from concrete and clad in black and grey granite, the memorial is a quiet, significant space that poignantly remembers past armed conflicts. Susanna Castleden’s work conceptualises a 1915 map developed by the Australian Army for the ANZAC landing at Gallipoli. Pieces sandblasted black granite read the names of sites at Gallipoli as they mark out the trench lines along the memorial pathway. 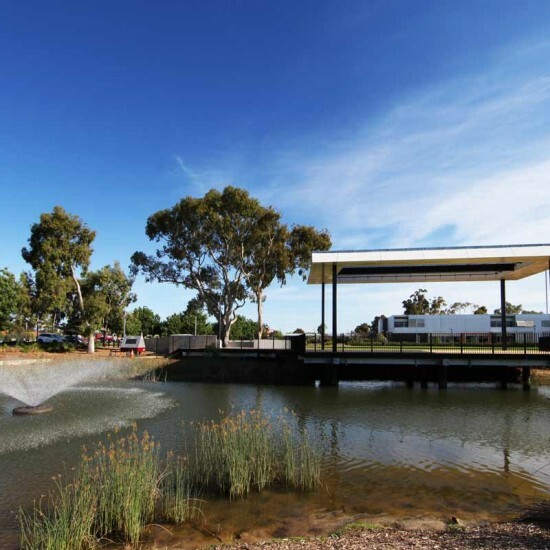 The memorial includes prose by Western Australian author David Whish-Wilson reflecting on the impact of war beyond the battlefield. It is also one of the first Australian war memorials to include mention of the frontier wars fought with Aboriginal people.